Like every little girl growing up, I used to love unicorns and horses. While it proved impossible to find a reliable unicorn stable anywhere near Rome, my parents did at least find a horse-riding school, where I practiced riding for several years, until it became too time-consuming to drive into the unspoiled countryside of northern Lazio twice a week. So my glorious career as an equestrian ended abruptly. Or, at least, that’s what I thought until last week, when I discovered that I could easily enjoy a horse back ride a few minutes drive from Rome’s city centre, inside the Appian Way Regional Park. Although at first I was a bit afraid of climbing onto a horse after 20 years, it turned out that – a bit like riding a bicycle – you never forget how to mount a saddle. Here, I tried out one of the many local experiences offered by Withlocals, hoping to re-bond with the horseback-rider child in me and. And although at first I was a bit afraid of climbing onto a horse after 20 years, it turned out that – a bit riding like a bicycle – you never forget how to mount a saddle. 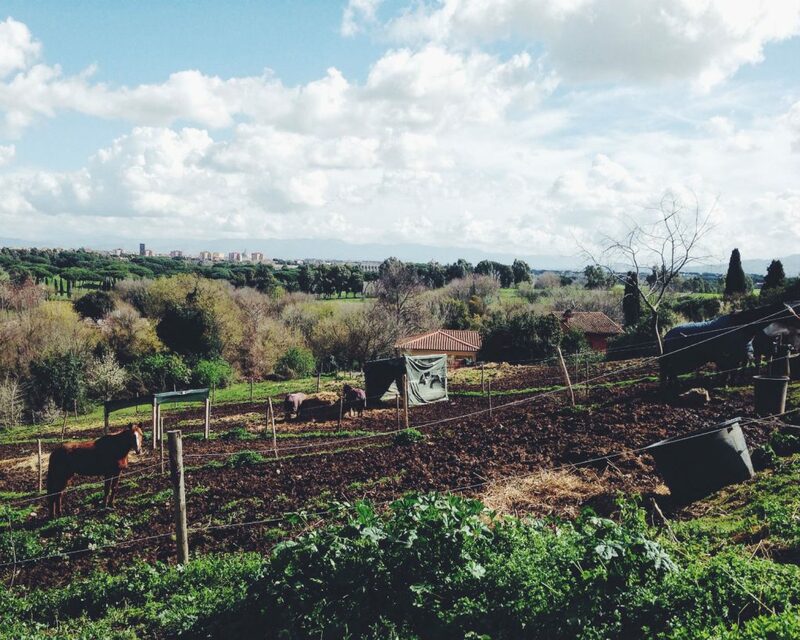 The tour took us along the ancient Appian Way, one of the earliest roads that led into ancient Rome. There are several archaeological remains scattered throughout my favourite Roman park: this open-air museum features tombs and mausoleums built in different styles dating back to the Roman Republic. And dotted along the Appian Way, there are precious private mansions where actors, politicians and the wealthiest notable people still live today. The tour took us along the ancient Appian Way, one of the earliest roads that led into ancient Rome. Peeking through the fences surrounding the Forte Appio military zone, we saw a tower-shaped mausoleum. Riding farther, we stumbled upon Quinto Apuleio’s tomb and Ilaro Fusco’s majestic sepulchre, a red-brick structure with a marble relief that was build in the 19th century by Luigi Canina over the remains of the ancient tomb. To be honest, I was more excited by the ride back to my childhood rather than by the Roman ruins. 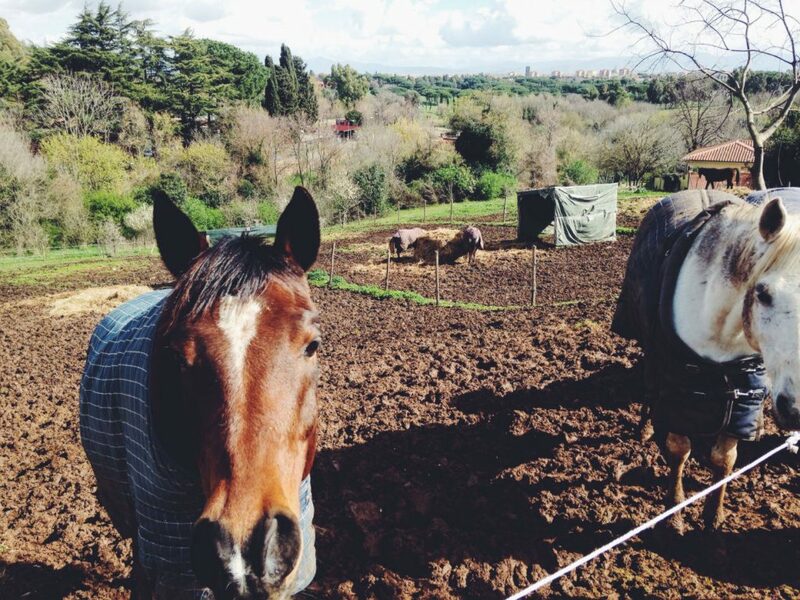 Petting the horse on its neck and feeling its mane passing through my fingers, hearing the sound of the hooves clip-clopping on the massive basalt cobbles – which have been there for 2,400 years – and the birds tweeting from the iconic Appian pines, which majestically frame this rural corner of Rome that is far – yet not far – from the busy city. All around us, Mother Nature was waking up on this bright, early-autumn morning. The tour ended at the Rabirii’s tomb, with its beautiful relief portraying two freedmen (former slaves who had been released from slavery thus becoming Ancient Roman citizens) together with the Egyptian Goddess Isis, whose iconic symbols – the goblet and the musical instrument sistrum – are carved in the marble as well. Urban Travel Blog booked this activity via WithLocals, and in fact you can find scores of fantastic experiences on offer via their website, from food tours with a hip local gourmet to taking a spin around town in a classic Fiat 500. 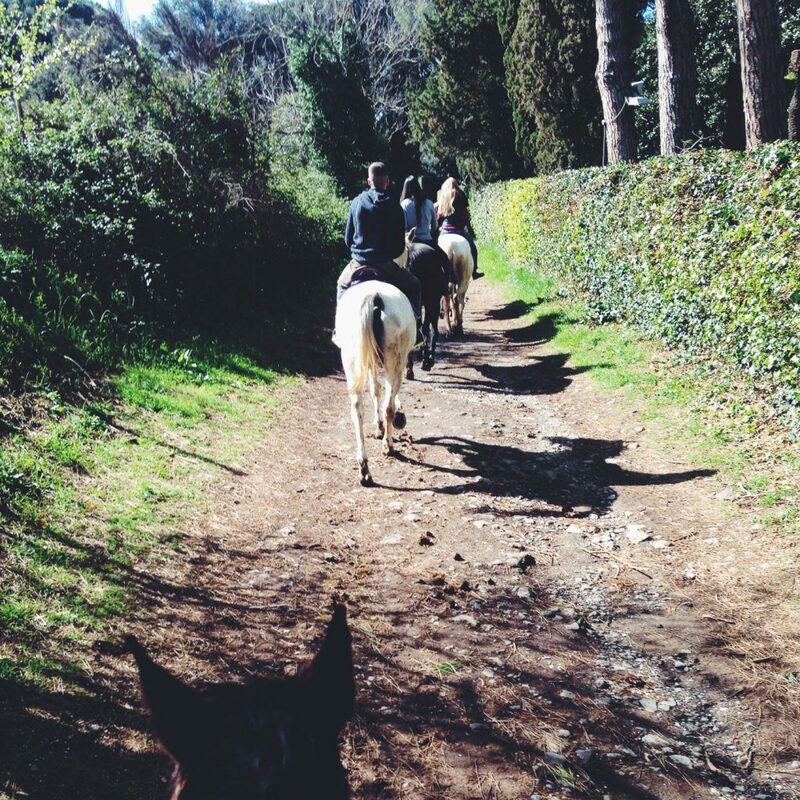 To reserve a space on a saddle heading down the Appian Way then you can speak directly with Riding Ancient Rome. It’s amazing how horses are able to sense your mood and act according to it. No wonder you had a nice time horse riding. The landscapes are also beautiful! Must have been a great experience and I would love to go to Rome one day! Rome has been on my bucket list for such a long time and as I love horses, this seems like a perfect match. 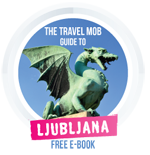 Something different to do apart from the usual tourist attractions. Thanks for sharing and please keep us informed with new information when possible. Rome-based Giulia, known to her followers as Giulia Blocal, is a lover of unconventional destinations, street art, urban landscapes and hidden spots, all of which she covers on her blog. More on Giulia here.